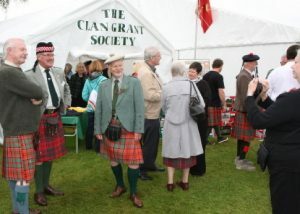 The Clan Grant Annual Gathering. A memorable feature each year is the Clan March, where members of the Society march to the opening ceremony of the Games in traditional dress, led by our Parade Marshal and following the band of massed pipes and drums. 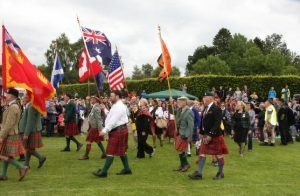 The procession begins at the Nethybridge Hotel, where many Clan members stay overnight and ends in the Games Field for the opening ceremony. 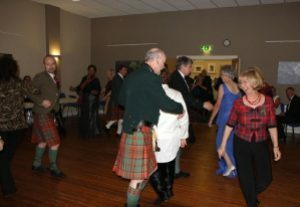 Following an eventful day at the Games on Saturday, a formal kilt and black tie evening meal and ceilidh is hosted at a local hotel. 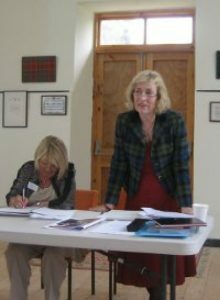 Past venues have included the Hilton Coylumbridge near Aviemore, the Grant Arms Hotel in Grantown-on-Spey and the Nethybridge Hotel. On Monday afternoon, Sir Archie and Lady Fiona Grant invite members to join them for Afternoon Tea at their home at the House of Monymusk, which is a nice way to round off the weekend’s activities.